Are you allergic to mold? Our 25 years of experience in investigating, providing assessments and indoor air quality testing when mold is suspected has shown us that many people are unaware if they are highly allergic to mold or not. The reason for this is simple – it takes years of exposure to become sensitized, so while you may not be allergic to mold now, you may be a few years down the line if your home or office has mold growing. While everyone is concerned with the indoor air quality of their homes and offices, we do not associate the invisible connection until exposure is violent enough to almost pin point the exact location. While you can become sensitized with inhalation of large amounts of toxic spores at one time, most often it’s the small systemic exposure that will cause symptoms that are often not associated with mold exposure. 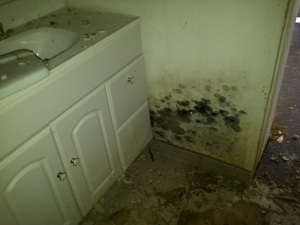 Mold is present in our environments, whether it’s inside or outside our home/office. Did you know though that some of the more toxic spores to us are generally not found in the air outside? 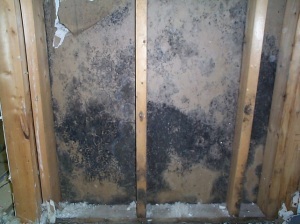 In a clean home, mold, such as Stachybotrys, should not be detected in an indoor air quality test if all is well. Even small amounts found by indoor air quality testing indicate a mold problem within the area which could pose a potential future health risk. Stachybotrys is found on water damaged building materials rich in carbon such as ceiling tiles, gypsum board, insulation paper backing, drywall and wallpaper. Stachybotrys requires a lot of moisture to appear (70% or more) most often associated with Type 1 hay fever, asthma symptoms reported and is known as one of the most toxigenic species of mold. The presence of this fungus can be significant due to its ability to produce mycotoxins. 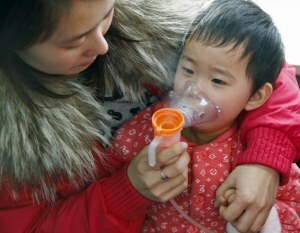 Exposure to the toxins can occur through inhalation, ingestion, or skin exposure. 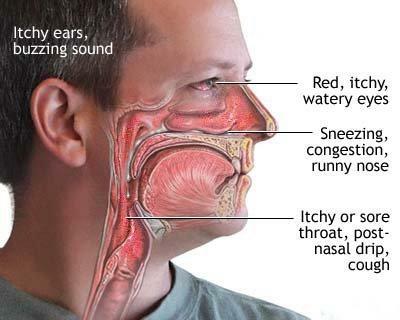 Human toxicosis has been described; by dermatitis, cough, and rhinitis, itching or burning sensation in mouth, throat, nasal passages and eyes to name just a few. 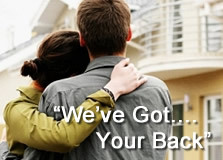 Additionally, Stachybotrys is associated with the development of sick building syndrome. 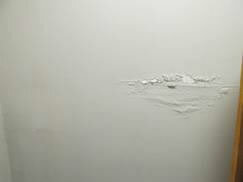 Most often we find it in previous leaks on drywall where the homeowner did not remove the affected porous wet materials and just let it dry or painted over without understanding the consequences. Small amounts over a long time of exposure could lead in to sensitivity and allergic reactions. Mold was indeed found behind – lots of it! Fortunately there are ways we can find out if we are allergic or are becoming allergic to it. Most people’s immune system removes the toxins in their blood on a daily basis, for some however will take a long time and continuous exposure will aggravate symptoms. A comparison would be when two friends go out drinking and both have a great time and drink the same amount; unfortunately one of the two does not recover in time to go to work and stay in bed with the consequences and their reaction to it while the other one is ready at 6 am with no symptoms. How much peanut butter do you have to ingest for a reaction if you allergic to it? How many cigarettes does it take to affect you? These are some of the reasons that there are no exposure limits on mold; we just don’t have the scientific data and studies yet. We recommend a visit to your doctor or allergist and ask to get a blood test for the detection of toxin levels; basically you just want to find out the level of toxins in your blood stream high or low. High toxin count will indicate your immune system just can’t get rid of it that fast and the internal inflammation from the response of your immune system to the foreign substance will cause different reactions in different people.